The ammunition box is made of a heavy duty steel and features handles on each end for easy carry. Th.. 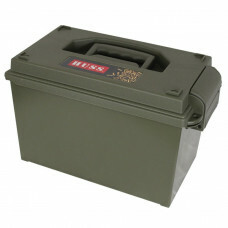 The ammunition box is made of a heavy duty steel and features a handle for easy carry. They have an .. The ammo box is moulded out of rugged polypropylene plastic and features a comfortable han..